Lot Detail - Houdini Circus Busch Water Torture Cell Bill Card. Houdini Circus Busch Water Torture Cell Bill Card. Houdini, Harry (Ehrich Weisz). Houdini Circus Busch Water Torture Cell Bill Card. Hamburg: Adolph Friedlander, ca. 1912. 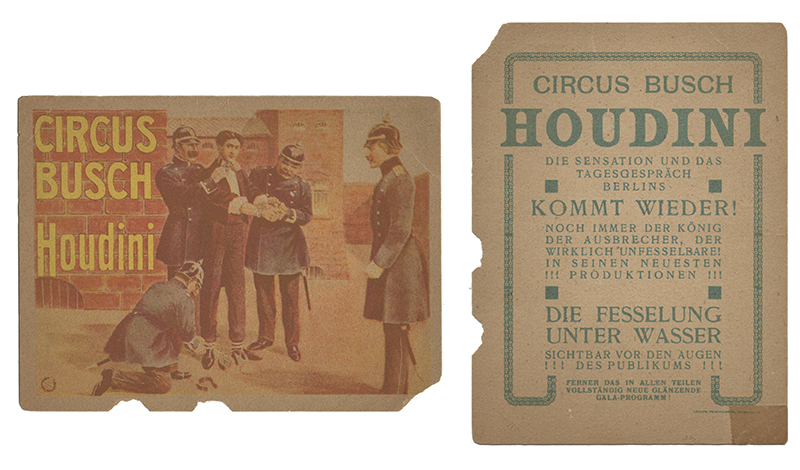 Pictorial advertising card depicting Houdini shackled by the German police on the recto, and promoting on the verso his latest sensation “Die Fesselung Unter Wasser” [The Water Torture Cell]. 5 7/8 x 4 3/8”. Losses along lower edge, one corner tape repaired. Rare. 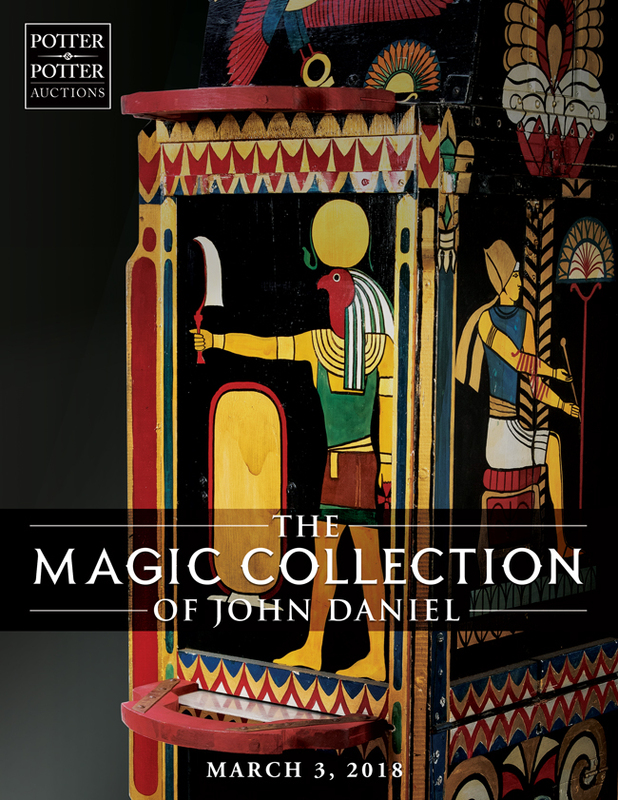 Auction closed on Saturday, March 3, 2018.